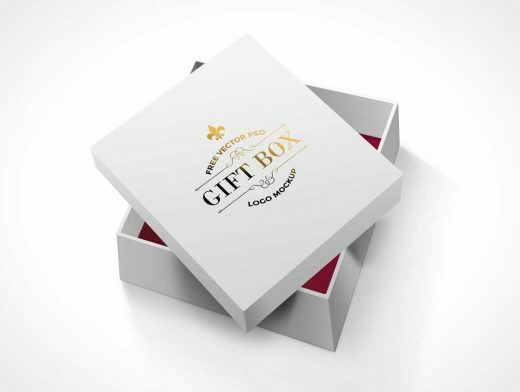 This PSD Mockup of a small square gift box renders your logo as gold leaf on the box cover. The box cover is open and rests on the top of the box at a 45° angle. The box itself is rotated to 30° allowing for a partial view to the contents of the box. The cover is removable, and once removed it reveals the red velvet lining at the bottom of the box. This product is perfect for advertising your high quality product.